Community-council meetings and district-council meetings are seldom “vote on something” type meetings. Far more often, the centerpieces are “did you know?” type presentations, as well as a chance for community advocates to share what they’re up to. And those were the components of this month’s Delridge Neighborhoods District Council meeting last Wednesday night at Highland Park Improvement Club. KING COUNTY DISPUTE RESOLUTION CENTER: Nilda Brooklyn visited to talk about the two main things this organization does: Direct mediation services (inside and outside the legal system), and training. Seems like Sound Transit West Seattle light rail is Topic A everywhere. One night before Thursday’s West Seattle Transportation Coalition presentation/discussion, it was also a big part of the agenda at Wednesday’s Delridge Neighborhoods District Council meeting – including another potentially loud voice supporting tunneling along at least part of what’s been drafted as an all-elevated route. CITY REP ON SOUND TRANSIT 3 LIGHT RAIL: Interested in some tunneling on the West Seattle light-rail line, now in the “early scoping” public-comment mode through March 5th? The city may be on your side. Lyle Bicknell came to speak with DNDC on behalf of the city’s interest in the ST3 planning process – he’s with the Office of Planning and Community Development – and talking about how to minimize the impacts of the upcoming light-rail project. Metro and SDOT reps were on hand for this as well. But it was far from the first time that neighborhood advocates including DNDC reps had spelled out the same concerns – including stop location/spacing – since the 120 is point-to-point transportation for many in the Delridge corridor, not just a way to get to and from downtown. The frustration was voiced at one point by DNDC’s Pete Spalding of Pigeon Point, who said this was at least the fifth time in three years that the group had listed its concerns. Michael Taylor-Judd of North Delridge wanted to be sure the project team was talking with groups including seniors who would be especially affected by an increase in stop spacing – while the third-of-a-mile spacing proposal is closer than RapidRide’s usual half-mile-apart spacing, it’s still a tenth-of-a-mile increase over the average on Delridge now. YOUR FEEDBACK: If you have something to say about what’s currently under consideration for the Route 120/H Line conversion – where the stops are, how they’re spaced, and/or changes on Delridge – this is the time to say it, before the project team finalizes a recommended design, which will happen in the months ahead. RapidRide@seattle.gov is the address for project comments (though the county runs Metro, this is a joint project with SDOT, not only because of the road changes, but also because the city contributes funding for bus service). Design is to be completed this year, with construction of the stops and road changes starting in 2019 and continuing in 2020, when the H Line is to be launched. The RapidRide talk went on for a while, especially concerns that a lot of feedback already had been offered in previous discussions, mostly with SDOT during what was at the time referred only to the Delridge Multimodal Corridor process, but the next round of “engagement” seemed to be oblivious to that. Herbold said her office has been talking with King County/Metro and promised she personally would jump in after votes next week conclude the budget-change process – which she’s been leading as Budget Committee chair, a role gained in a domino process of sorts that began with former Mayor Ed Murray‘s resignation. Your ballot for the November 8th election is on the way. That adds extra weight to the final few weeks of candidate forums – with voters able to make their choices at any time. On Wednesday night, the candidates for City Council Position 8 – the citywide spot for which now-Mayor Tim Burgess chose not to run again – visited the Delridge Neighborhoods District Council. Above is our video of the 48-minute forum, with candidates Jon Grant and Teresa Mosqueda. Housing affordability, homelessness, and transportation were the hot topics. Mosqueda and Grant are due back in West Seattle tonight (Thursday), as part of the forum presented by the West Seattle Chamber of Commerce and West Seattle Transportation Coalition, which also will feature the Council Position 9 (Lorena González and Pat Murakami) and Mayor (Jenny Durkan and Cary Moon) candidates, 6:30 pm at American Legion Post 160 (3618 SW Alaska). TRANSPORTATION: DNDC members want to hear from Metro and SDOT at future meetings, to talk about transportation along Delridge, including overcrowding on Routes 120 and 125. Pigeon Point’s Pete Spalding noted that Metro needs to understand that the Delridge routes aren’t just about going downtown – those routes are the ones the people who live in the area use to travel around West Seattle. CITY BUDGET: Highland Park Action Committee co-chair Michele Witzki asked everyone to pay attention to the City Council budget discussions about where to deploy LEAD – Law Enforcement Assisted Diversion – which Highland Park has been asking for, for years. Earlier this week, councilmembers talked primarily about using it in the North and South Precincts, not the Southwest. Also discussed, pavement problems on 26th SW, and all were urged to contact City Councilmember Lisa Herbold’s office to ask for paving funds to be used to fix it. The Delridge Neighborhoods District Council meets third Wednesdays most months, 7 pm, rotating locations, currently Highland Park Improvement Club. Both of West Seattle’s neighborhood-district councils have now had their first meetings since the city’s official severing of ties and financial support. The Delridge Neighborhoods District Council met Wednesday night for the first time this year, continuing its third-Wednesday meetings but changing the location for the first quarter – it’s meeting at Highland Park Improvement Club through March rather than at Youngstown Cultural Arts Center. Even as the City Council gets closer to finalizing the city budget containing the resolution formalizing the mayor’s slashing of ties with neighborhood district councils, the Delridge Neighborhoods District Council is charging forward, and even growing. DISTRICT COUNCIL’S FUTURE: Chair Mat McBride says that so far, discussions have focused on having the group work more as a cooperative as it goes forward, centered on how the groups at the table can “assist each other” in meeting their goals for the Delridge community. Certainly the group might still seek the occasional city presentation, but those likely won’t be as common, as the focus will remain more intra-Delridge. Other topics of discussion included where to meet – an issue now that the city will no longer be providing the ~$500 annual funding that covered costs of renting meeting venues. It was decided that at least for the first quarter of next year, the group will meet at Highland Park Improvement Club. The meetings will still be 7 pm on third Wednesdays. 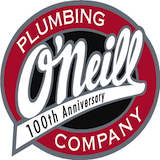 As per longstanding tradition, DNDC won’t meet in December, so its next meeting will be January 18th. That declaration from Willard Brown of DNDA summarized what many of his fellow members of the Delridge Neighborhoods District Council said on Wednesday night, as a key part of the meeting focused on Mayor Ed Murray and Department of Neighborhoods director Kathy Nyland‘s intent to cut city support for the city’s 13 district councils. The meeting’s other major component: A review of the five community proposals seeking Neighborhood Street Fund grant money, which DNDC members will be re-ranking now that SDOT has completed its assessment of the top-ranked proposals and what they’re likely to cost. DISTRICT COUNCILS’ FUTURE: Chairing the meeting, Pigeon Point Neighborhood Council‘s Pete Spalding recapped how DNDC had hosted a citywide meeting at the Highland Park Improvement Club in July (WSB coverage, with video, here) to talk about the mayor’s “shocking” announcement days earlier about cutting off city support for district councils, as part of a reshaping of the city’s “engagement” policies. I am requesting your presence at the September meeting of the Delridge Neighborhoods District Council meeting on Wednesday, September 21. The DNDC is very interested in having a conversation with you regarding community, engagement, and the future of the District Council system within DoN (we’ll also be ranking NSF grants that evening, in case you wanted to observe a DC in action). District Coordinator Kerry Wade will follow up with an agenda, including specific time and location once it’s finalized. Your RSVP is appreciated. PS, in case you haven’t been following DoN’s Engage Seattle poll, it’s a good read. All responses and comments (predominantly by white middle-aged homeowners, which I suppose raises some ironic existential questions) are published. Recommended reading, and if you haven’t taken the poll, I suggest doing so. Quite a few comments have been made in support of the District Council System (side note – good on you for making all responses transparent, even those that highlight flaws in this latest proposed revision of DoN). And they’re right to do so, the District Council System (DoN’s, not City Council’s) is vital. Democracy has to be public. Not solely, and there’s a lot of good suggestions about how to enhance the process and increase engagement. But it’s the District Councils, through a relationship officially observed by the City, that provide this function. It is vital to have public discussion with City representatives and elected officials. It is vital to challenge assumptions. It is vital to provide a forum in which the public can champion or object to issues, initiatives, or proposals within a specific geography. Because at the end of the day, it comes down to people doing things. Not taking a poll, not reading a newsletter, not submitting a comment to a blog, but actual honest-to-goodness engagement. Communities are made of people that come together and unite over a common goal. Where technology can enhance and assist this process, it absolutely should. But without an established network and designated place for that to manifest, it’s meaningless. Community is local, friends, and you have to make local work. So, how to accomplish this? The best solution is also the easiest – restore the DoN District Coordinator staff to pre-2008 levels. When the cuts first came, and again when they continued, community leaders predicted the exact circumstance we find ourselves in today – the fraying of the social network to the extent that it struggles to provide its most basic functions. The District Coordinators served as the glue within each District, themselves clusters of communities. It’s a big job, and staffed appropriately, it works great – an individual with a comprehensive knowledge of the individuals and organizations operating within the District is able to coordinate and direct active and emerging civic engagement to promote or fulfill the goal of serving the community. The act of networking people is the single most successful way to disseminate information – we have never been able to improve on talking to each other (not that we should). Humans can consume a huge amount of data, and most of it is not registered as important. This is especially true of communication by local government to citizens. If you want your message communicated, you need peer-level discussions within the community. Since most City correspondence is dry and boring (on the surface, anyway), you need citizens who will consume it regardless, translate salient points as necessary to make it accessible, and explain why it’s important to care about. And then, you really need them to talk about it. Good news! You’ve had that model in place for the last 28 years. By most assessments, it’s past the “Proof of Concept” phase. Success is built upon the enhancement and improvement of existing infrastructure. The dismantling of an established and proven institution, which is to be replaced by an untested concept, is – well, it’s a singularly terrible idea. Restore the District Councils, and commit to enhancing them through all the excellent suggestions for improvement that I’ve read from other respondents to this survey. As for the upcoming District Council meetings – everyone, as always, is invited. The Southwest District Council is expecting Parks Superintendent Jesús Aguirre at 6:30 pm Wednesday, September 7th, at the Sisson Building/Senior Center in The Junction (California/Oregon). The Delridge Neighborhoods District Council mentioned above will be on Wednesday, September 21st – as Mat McBride wrote, time and location to be finalized, and we’ll publish an update when that happens. We counted at least 60 people in the room at Highland Park Improvement Club; McBride greeted them all in DNDC style – cheering and hand-waving – calling out the names of each Neighborhood District Council that was here, and then asking for a show of hands from those representing other groups, such as the community councils that feed into the ND councils. He acknowledged that some of what’s in the report – the need to expand the groups’ means of outreach – are things that district council members agree with, things they’ve been suggesting, requesting, for years. So what is it these groups DO do? 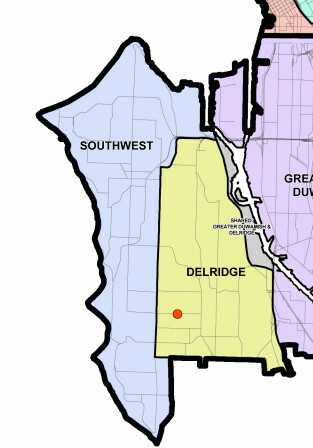 As first reported here on Sunday, this week’s monthly meeting of the Delridge Neighborhoods District Council has expanded to a call for, in effect, a summit of neighborhood-district council members and supporters from around the city. Wednesday’s gathering at Highland Park Improvement Club will come one week after Mayor Murray cut short a City Council-ordered review of the neighborhood-district-council system by declaring he intended to cut city ties to and support for the councils. Pete Spalding from the DNDC tells WSB that in the wake of Mayor Murray‘s announcement last week about cutting city ties with, and support for, neighborhood-district councils (WSB coverage here), DNDC is inviting DC reps from all over the city to their meeting at 7 pm Wednesday. It’s moving locations to Highland Park Improvement Club for the occasion. Spalding says the goal will be a discussion of “what the DCs bring to our neighborhoods, the city, and its agencies – (not a) bash-the-mayor event but more along the lines of what we have (accomplished) and can accomplish with more city support in addition to what we already do.” Public welcome as always. HPIC is at 12th SW/SW Holden. Watch for more on this. PUGET RIDGE SPEEDING AND OTHER SPD UPDATES: Southwest Precinct Operations Lt. Ron Smith had a followup on Puget Ridge’s speeding concerns, which were among the problems neighborhood reps brought up at last month’s West Seattle Crime Prevention Council meeting. He said that motorcycle officers from the SPD Traffic Unit will be out for enforcement on Puget Ridge at random times during the summer. In his crime-trend overview for eastern West Seattle, he told DNDC attendees that violent crime is down, and that car prowls remain the major area of concern, though “we’re starting to see a slight dip” in the numbers. Auto theft has increased in High Point, with five in the past month, but was down in the Westwood-Roxhill area, with three over the past month. An automated license-plate reader will be deployed to check more vehicles around all of West Seattle, he said. MYERS WAY PARCELS: Instead of the Seattle Green Spaces Coalition, another advocacy group, TreePAC, was at the meeting to talk about the site, represented by Cass Turnbull. She recapped the site’s history (previously reported here) and the fact the city is now deciding what to do with it. (As reported here earlier that day, the city Finance and Administrative Service‘s preliminary recommendations have now been made public. Turnbull said she had not read it yet but had heard – as was our assessment – that it was largely the same as the draft recommendations unveiled last month.) She says the site could be many things – “but if they sell it, it can’t be anything but industry.” She would like to see it be an environmental learning center. “It’s a very degraded piece of property” – but, that said, it still has lots of potential, and is alive with even tiny wildlife like crickets. TreePAC’s position is to ask the city to simply not sell it. DISTRICT COUNCILS’ FUTURE: The issue of the Department of Neighborhoods‘ response to last year’s City Council “statement of legislative intent” about possibly aligning neighborhood districts with council districts – among other things – came up again, with a recap of the recent Southwest District Council discussion (WSB coverage here). DNDC attendees were invited to talk about it. Michael Taylor-Judd from the North Delridge Neighborhood Council said he’s “angry” about how the DoN is rolling this out, acknowledging that yes, there is some truth to the concerns about the demographics of councils, but that they are trying to reach out further, and need the city’s help, not words of criticism, let alone suggestions that the councils will see some of their limited city resources removed. Christine Cole from the Greater Duwamish District Council was at the meeting – she had been at SWDC too – mentioning again that her DC and others in its area remain without a district coordinator. Scott suggested that meetings could be made friendlier for families – offer child care, perhaps – and for those who have transportation challenges – offer vouchers, maybe? Folsom suggested it’s not about reaching out and trying to pull people in as much as changing to be “more inviting” so that they will want to come in. Wade suggested that the kind of cultural-competency training that has been made available to city employees would be good to offer to neighborhood volunteers like council members/participants. Talk then turned to what to do next and how to discuss, and how to collaborate with the Southwest and Greater Duwamish councils on a meeting to talk with the city about what it wants to do and what the neighborhood reps want to do. They’re proposing possibly meeting jointly during the SWDC night the first Wednesday in July, and inviting a variety of people all the way up to the mayor. ROXHILL FIND IT FIX IT WALK: Still tentatively set for July 25th; Wade is helping organize it and hopes that people from all over eastern West Seattle will join in. 6:30 pm is the planned start time, start location TBA. SEATTLE SUMMER PARKWAYS: Wade recapped the plans that are in the works for September 25th, which we’ve reported several times here. She added that neighborhood groups are invited to participate, free. Here’s how to sign up to be part of it. Delridge Neighborhoods District Council meets 7 pm on third Wednesdays at Youngstown. When the city Department of Neighborhoods cut its staff of neighborhood-district coordinators 5+ years ago, neighborhood advocates were upset, to say the least. Before the cuts, the city had one coordinator for each of the 13 neighborhood districts, including the two that comprise West Seattle – Delridge and Southwest. It would be OK, city leaders assured local community leaders – while cutting three of those 13 jobs, they were restructuring the remaining coordinators into teams by region, with this area part of the South Region, to be served by three. But in the years since – without any further announcements – it’s dropped to 8 coordinators for the 13 districts, and the regional structure has eroded, like a bluff falling into the sea as it’s battered by waves. Now a potential tsunami is on the way – a formal review, stemming from City Council marching orders last year, looking at whether the 13-neighborhood-district system should realign with the new 7-district City Council map – and whether the district coordinators’ work as community-to-city liaisons should change. Tonight, the Southwest District Council‘s June meeting includes a discussion of an in-progress city review that could eventually determine whether the SWDC and the city’s other 12 district councils continue to exist. One of the arguments for district councils is their advocacy for their respective jurisdictions getting their fair share of city attention and money, in programs like the Neighborhood Street Fund. Since their last monthly meetings, members of both SWDC and its eastern West Seattle counterpart, the Delridge Neighborhoods District Council, have decided which five community-proposed NSF projects they’re forwarding to the city for consideration. Both sets of decisions followed project-proposers’ presentations at the respective district councils’ meetings, and review of written applications – this document explains the criteria for evaluation. TERMINAL 5 DRAFT ENVIRONMENTAL IMPACT STATEMENT OUT SOON: Paul Meyer from the Port of Seattle said he was at DNDC to get that message out. At one point, you might recall, the modernization project planned for Terminal 5 wasn’t going to have an environmental impact statement, which sparked a neighborhood protest including a petition drive. But then the port said it would need one after all because prospective clients for the new terminal were making it clear its operations would be more sizable than expected. Know the difference between the Neighborhood Street Fund and the Neighborhood Park and Street Fund? What they have in common is that both are available for community-proposed projects, and both were at the heart of this month’s Delridge Neighborhoods District Council meeting, which focused on different stages of the processes for the two city funds with similar names. NEIGHBORHOOD STREET FUND: Megan McCoy from the city presented information about this grant program, which is handled by SDOT (as opposed to the Neighborhood Park and Street Fund, which is administered by the Department of Neighborhoods) and is accepting applications now. It involves larger projects, and runs on a 3-year cycle – time to design and then build the projects – $8 million per cycle (up to $1 million/project), funded by the Move Seattle levy that voters approved last year. Project locations have to be fully in city right-of-way (streets, sidewalks), need to not trigger a lengthy environmental process, and must meet warrants and guidelines – in other words, be necessary as defined by city rules/laws/guidelines. For the first time since the mayor’s announcement of a “safe lot” in Highland Park for people living in their RVs and cars, a community organization talked about it tonight with District 1 City Councilmember Lisa Herbold. She arrived at the Delridge Neighborhoods District Council‘s regularly scheduled meeting just in time for a discussion of the issue – a late add to the DNDC agenda, given that news of the plan for “safe lots” here and in Ballard was just announced Tuesday afternoon. The City Council meets tomorrow (3:30 pm Thursday) to vote on the mayor’s emergency order paving the way for the lots, as well as three emergency sites (none in West Seattle). Introducing Herbold, DNDC chair Mat McBride said he understood the site would host 20 to 25 RVs. He also noted that Department of Neighborhoods director Kathy Nyland was on hand too. Herbold said she had asked for someone from the city Human Services Department to attend and was disappointed that no one was available. Herbold said she “(felt) uncomfortable making a presentation on behalf of the executive (mayor)” because there still wasn’t much information on this sudden proposal. She said she didn’t initially realize the mayor’s office was talking about the lot adjacent to the former encampment site in Highland Park (at West Marginal Way SW and Highland Park Way). She thought the plan sounded at first as if RVs that have been at the heart of an uproar in Magnolia were going to be moved here . “I’m interested in serving the community of folks who are already here” – meaning RV campers around West Seattle and South Park – “and getting THEM services. So that was one of the first things I asked.” She said the mayor’s order is “just a shell” and there’s a lot she wants to see worked out “so the nuts and bolts can be worked out in that 30-day period” (before the lot opens). Tomorrow’s council vote is not required for the mayor’s order to take effect, she says, but “by voting on it, we have a chance to amend it.” She is hoping to see some language written into it regarding restroom access and other key things the people who use the lot will need. A representative of Highland Park Improvement Club – directly up the hill from the site – wondered about the location given the unreliability, as she put it, of the Route 131 bus, and how people at the lot would be able to use it to get to water and food. Herbold said she expressed an interest in a route change toward that goal. One attendee said she is concerned that this lot will only serve people coming to the area and various unauthorized parking areas will remain around West Seattle.